Our objective as musicians and music producers is to manipulate sound within the spectrum of human hearing to ultimately create something appealing to the listener. To learn how, we need to understand the physics of sound and what exactly is happening in the space between the ears of the musician and the ears of the listener. What is sound and what are sound waves? Sound is a physical phenomenon caused by periodic changes in pressure within a medium. Vibrating sound sources such as a loudspeaker or your vocal chords move the particles of the medium to create pressure oscillations. The medium can be a solid, a liquid, or a gas, but most sound as we understand and perceive it in everyday life is transmitted through the air. Sound waves travel through the medium at a finite speed and at a given frequency and intensity, but they can’t travel through a vacuum. They say in space, no one can hear you scream. And that’s because in space, there’s no medium like air for the vibration created by your vocal chords to travel through. Space is a vacuum! Granted, if you were exposed to the vacuum of space unprotected by a space suit you’d be frozen toast before you could even manage to scream. Since sound is an oscillatory physical phenomenon, it can be represented by a waveform. 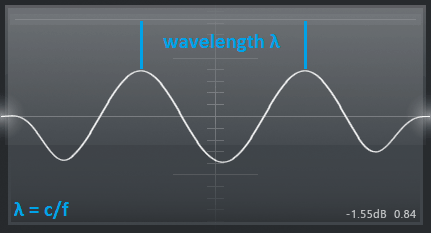 A waveform is just a mathematical function defined by the variables of frequency, amplitude/intensity, and phase. They can come in all kinds of shapes, but the most basic and easiest to understand is the sine wave. In the illustration above, we can see a simple sine wave function with frequency, amplitude/intensity, and phase. The x-axis is time progressing forward into infinity. Frequency is the number of wave cycles per second. The unit of frequency is Hertz or Hz and is named after one very smart German dude. One full cycle has occurred when one peak and one trough of the waveform have passed. 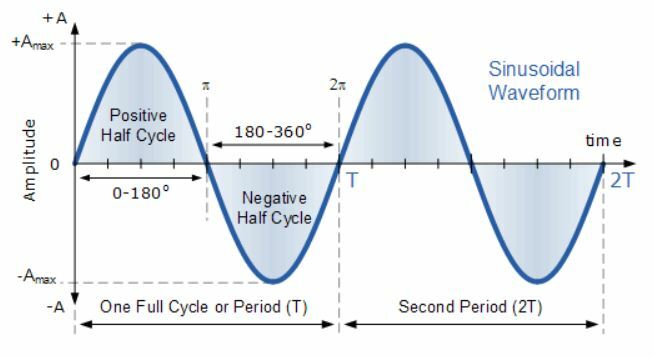 The wave’s period is the time it takes in seconds for one cycle to pass. This is the mathematical inverse of frequency. Different frequencies of sound correspond to different notes or keys on a piano, or strings on a guitar. For instance, a tone with frequency of 440 Hz corresponds to the key A4 on a piano, while a tone with frequency of 247.03 Hz corresponds to the B3 key. The higher the frequency, the higher the pitch of the tone. The range of human hearing is typically between the frequencies of 20 Hz and 20,000 Hz. The maximum sensitivity for human hearing is between 2 kHz and 4 kHz. That means we hear sounds in that range better than other sounds. Dogs and other animals can hear sound at higher or lower frequencies than we can. This explains why dogs can hear dog whistles and us mere humans can’t. There is an entire universe of unperceived sound out there! Wavelength is the physical distance between two consecutive peaks or two consecutive troughs in a waveform. For instance, the wavelength of a sound wave at 20 Hz is 17 meters, or 55 ft 9 in. As the frequency increases, the wavelength decreases, and vice-versa. This means the two are inversely related. Frequency and wavelength are related according to the equation below. An easy way to visualize how sound waves propagate is to think of them as ripples in a pond. Ripples radiate outwards at a certain speed, frequency, and height (amplitude) from the disturbance. 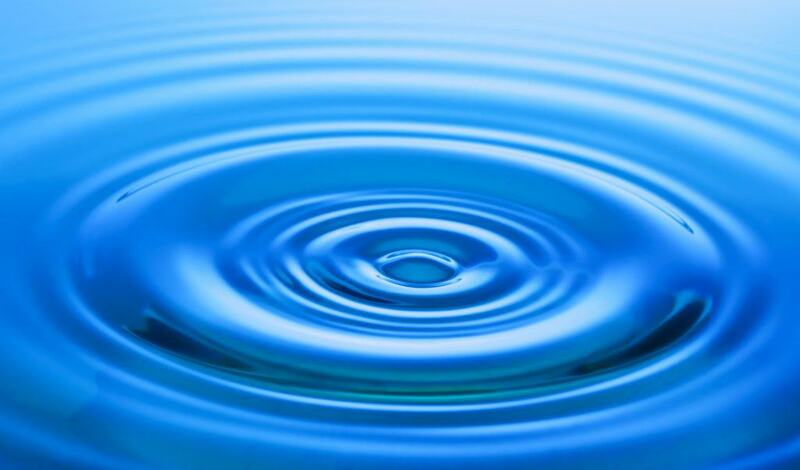 So the frequency of a sound would be like the number of times a ripple hits the shore of the pond every second. The more waves per second, the higher the frequency. Amplitude and intensity are like the height of the ripple or wave above and below the surface of the pond. The human ear contains small hairs that are sensitive to changes in air pressure. As a sound wave passes over these hairs, they generate an electrochemical signal in the brain. The listener perceives the signal as a sound. Long term exposure to sounds above 85 dB can cause hearing damage so make sure you wear your ear plugs!